Alexey Navalny is one of most prominent opponents of the Russian government of Vladimir Putin. The 39-year old lawyer and head of the Moscow-based NGO Anti-Corruption Foundation first came to prominence through a blog that takes direct aim at alleged malfeasance by Putin and his associates. We spoke with him following the revelations of the Panama Papers. SZ: More than 30 men and women work for you, trying to disclose illicit financial practices. Did you learn anything new from the revelations of the Panama Papers? Alexey Navalny: We knew more or less how Putin’s corruption works: He has friends who win billions by obtaining public tenderings. These billions are put in a common pot. What we know now is that, on top of that, Putin has some of his own accounts as well — and we see how they are filled. There is no doubt, for instance, that everything that belongs to the cellist Sergei Roldugin, is just another one of Putin’s accounts. But Putin’s name didn’t appear in any of the documents. The evidence is strong. First of all, Roldugin is one of Putin’s closest friends. Secondly, there is no explanation as to why he would possess that amount of money. He would be the richest musician on the planet. Thirdly, the way those accounts have been filled — state companies committing crimes through insider trading, why would they do that? Putin’s spokesmen claim that the publications are an attack on the president, meticulously planned by Western intelligence services. The Kremlin’s nervous reaction is just another indicator. Taken together, it shows clearly that the publications are direct proofs of Putin’s corruption. Why did nobody ever think of Roldugin before? He’s been mentioned several times in a Putin biography published during his first term as president. That nobody ever thought of him as the administer of Putin’s money shows that Putin had chosen the right guy: a humble man who plays the cello and doesn’t drive a Ferrari. Nobody would suspect someone like him. But the moment his offshore companies were revealed to the public, things got complicated. Money like this is not easily explained. 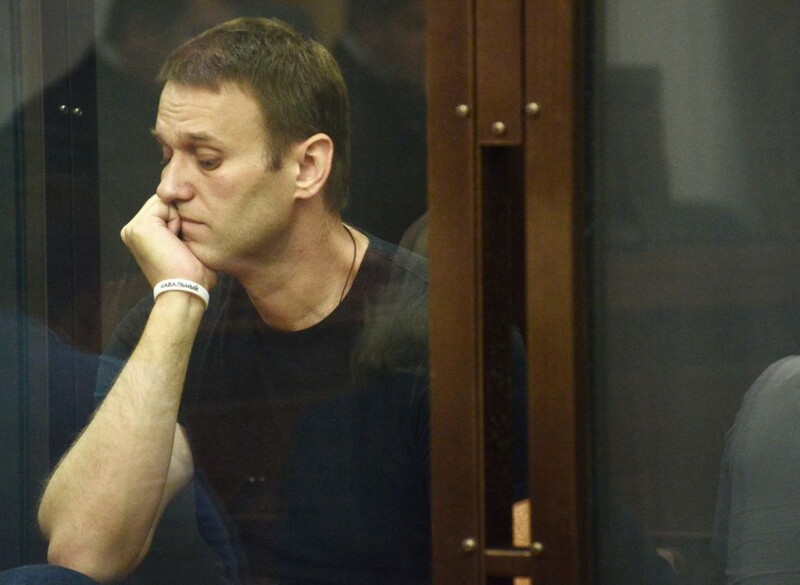 Alexey Navalny is one of most prominent opponents of the Russian government of Vladimir Putin. Do you think one day we might discover properties, accounts and shares registered in Putin’s name? Of course not. Large-scalle corruption — the kind carried out at the highest levels of government — does not work like that. If authoritarian rulers are involved, they usually hide behind family members, friends, hockey or judo coaches. What if Putin’s friends abandon him? The situation is pretty simple: Either you’re president and nobody can touch you. Or you’re not president, and you’re doomed. That’s why he would do pretty much anything — even risk war — in order to hold on to his position. Is there anything illegal among the things that have come up so far? 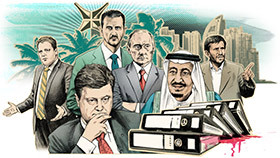 A number of politicians have been named in the papers, who have not declared their shares in various companies as they are obliged to in Russia. There are also many indicators of other criminal acts: suspected insider trading at the Sberbank and the VTB bank, both listed on the European stock market. If true, that would be an infringement on Russian and European law. Then, there's Roldugin’s tax evasion. And fraud at the Russian Commercial Bank, a subsidiary of the VTB on Cyprus, that apparently granted the Sandalwood Continental a credit line of $650 million without requesting the necessary provision of banking collateral. And so on. Over the last couple of years, you have published data about countless high officials in Russia, suggesting corruption. What good has come of your work? That’s the real tragedy: It just strengthens those officials’ position! Because if it goes public that they are being corrupt, they are considered particularly loyal. And Putin is the ultimate source of their legitimacy. They know that the public would prefer to see them behind bars. That they are not convicts, but rich government ministers, is thanks to Putin. And Putin only. The Russia expert Mark Galeotti from the New York University says that what’s special about Russia is that you can’t buy power with money. But if you have power, you don’t have to worry about money anymore. Or as Russian poet Alexander Pushkin put it once: "I buy everything, says the gold. I’ll take everything from you, says the blade." Meaning, you can buy whatever you want, but if someone with more power comes your way, he can take it all away from you. Does Putin fear being betrayed by his friends? No, because he has the power. And it makes no sense to wonder how much money he really has: At this point, he owns pretty much everything. What role does the West play for the rich, hiding their money abroad? The West plays along. Countries like Switzerland or Britain offer a safe haven. Although all these countries have laid down rules to fight international corruption, the reality looks slightly different. For years now I’ve been trying to make them cooperate: the FBI, public prosecutors in Germany and Switzerland, the Serious Fraud Office in the UK ... All in vain. The European media complains a lot about the Russian mafia and corruption. I keep telling them "open up a case — at least one!" But nothing ever happens. What do people in Russia think about corruption? Many say that, yes, the rich are getting richer, but at least they’re our people, we know them: If others were in power, they’d steal even more. Others say that at least they give us something back — the Sochi Olympics, the 2018 World Cup. Or they tell me, "if you were president, Navalny, you’d do the same." People have gotten over it? Actually they’re pretty fed up with corruption. Putin boasts 86% support, according to polls. But our campaign concerning Article 20 of the United Nations convention was supported by 90% of the population. That’s how many people believe that public officials who can’t explain where their wealth comes from must be called to account. But the Kremlin wants corruption to be the only considerable option. 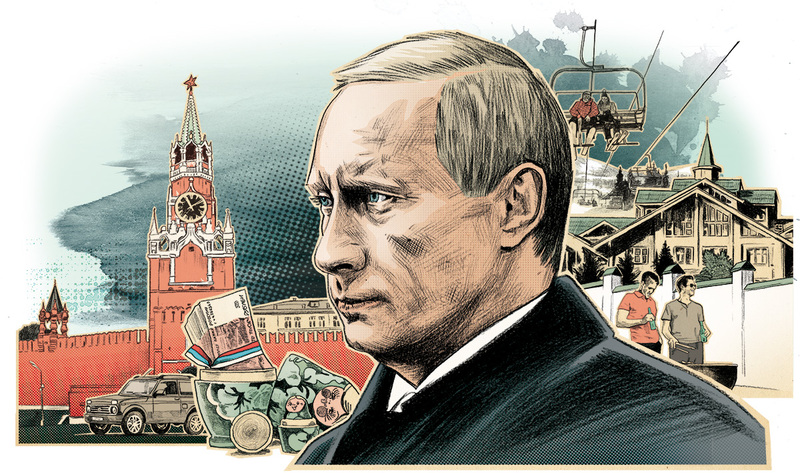 In that regard, for Putin it’s crucial for Ukraine to fail. In Ukraine, there was a revolution against the corrupt elite — but after two years no remarkable success has come out of it. If we start a revolution now, they will ask: Do you want to fail, like in Ukraine? With blood and war? Ukraine must fail, so that there is no positive example for the fight against corruption. And for the Russian opposition, Ukraine’s triumph is vital. That you and your organization still exist is for many proof that Russia is not that repressive after all, or that you at least have some powerful friends yourself. First of all, I’ve been convicted three times. Although the European Court of Justice was on my side, I’m still not allowed to run for office. A new law even bars me from participating in debates. My brother Oleg is in prison for a made-up story. There are several criminal cases against staff members and our office has been searched. Putin is not Stalin, we haven't been harmed physically — not yet. But who would have thought two years ago that they would kill Boris Nemtsov?